June | 2010 | E-verything! This session was a sharing of ideas about blogging with students (recording here). As is often the case we used a mix of audio, text and whiteboards so catch the recording for the full flavor!. We started as usual with deciding a topic and the consensus (by poll as usual) was to talk about blogging with students. 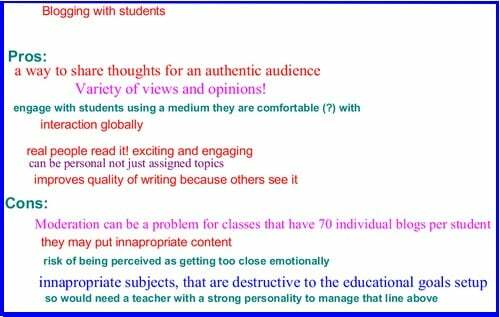 We talked briefly about some of the pros and cons of student blogging. Blogging with students is a huge topic with so many facets that it was impossible to do more than brush the surface of some aspects in one session, but we certainly enjoyed trying! Most of the areas we touched on would justify a full session to themselves! Our next Webinar is an Edublogs “Fine Focus!” session a “Techie How To” – “Imagine Your Image” an interactive session in which we invite you to explore with us a simple to use, free image editor (Photofiltre). Ninety nine times out of a hundred when I or my students need to edit an image we just need to do something simple and don’t need advanced features such as layers. For example we mostly just need cropping, resizing, adding labels or simple image enhancements. So when I construct a simple “how to”, modify an image for my blog or for use in a learning resource I use Photofiltre. Check out the recording for this “Techie How To” session by guest presenter Carl Bogardus (on Twitter as @weemooseus) who showed us how he uses Scratch with students to develop a variety of visual and interactive projects and how this can help students with maths and logic as well as developing basic programming skills. homepage and Carl told us a little about how the site works. He then “played” a project developed by one of his former students to show us the sorts of things that can be done. Next Carl showed us how simply the program blocks can be put together, modified and then instantly tested. As an illustration of how he uses Scratch to develop maths and logic skills Carl built a very small program to move a sprite by inviting suggestions from the group about how to achieve particular effects and then implementing these so that we could see if we were right! The session finished with questions. Serendipity webinar overview – Web 3.0 where to now? This was one of those small but very active sessions (recording here) where the blend of text, whiteboards and audio was almost seamless with all three being used in the conversation. The best way to checkout this session is to catch the recording. The discussion moved on with most of the focus being on the issues around the tagging, searching and “intelligence” aspects. Particular concerns were expressed about the impacts and influences of this type of search on independence of mind and thought. This session was very thought provoking and more thoughts and implications are still striking me some days after the session. I suspect this is very much a theme for further exploration in a Fine Focus discussion in the not too distant future. Our next Webinar is an Edublogs “Fine Focus!” session a “Techie How To” – “Introducing Scratch” from guest presenter Carl Bogardus (@weemooseus). 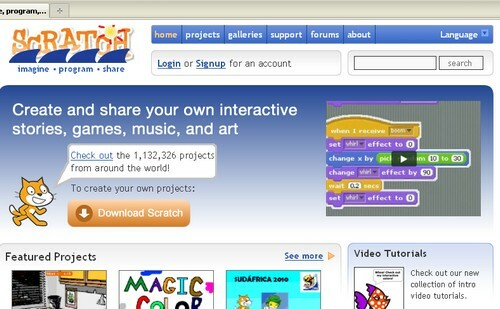 Carl will give us an introduction to using Scratch. An easy to use programming language that you and your students can use to create and share your own interactive stories, animations, games, music, and art. 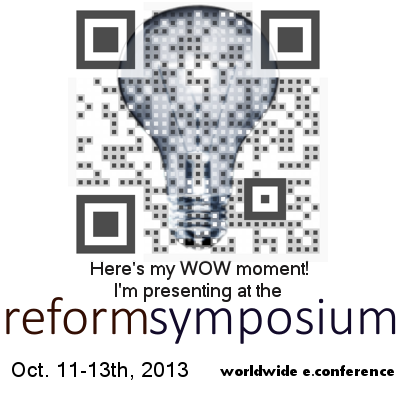 Our recorded Edublogs webinar this week provided me with an excuse to play with Elluminate. 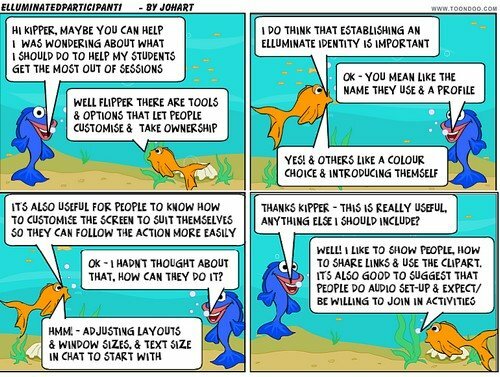 Occasionally I do a session on some aspect of Elluminate – usually as a result of comments and questions raised in response to using a particular tool in other sessions. This time having had quite a large number of people new to Elluminate joining our webinars in recent weeks it felt like time to take a look at getting the most out of being a participant. The plan for the session was to explore a variety of tools and options available to participants in Elluminate sessions. Thus providing some ideas and suggestions to help everyone get the most out of participating in interactive webinars. As always the emphasis was on interaction and activities throughout using polling, whiteboard, text and experimenting with tools and options. Also as usual I tried to fit too much into the time and ended up feeling that I was rushing but the participants seemed nonetheless to find the session useful. This was, hopefully, an interesting session that seemed to be enjoyed by all. As with most of these sessions this overview is no more than a fleeting glimpse and you will get much more from the recording.